Intelligent watering systems, known as IWS, manufacture top quality hydroponic systems. IWS systems are sold worldwide and considered to be a number one choice for many people wanting to grow on small or large scales. Each IWS systems we sock have been specifically chosen due to their clever designs and reliability. 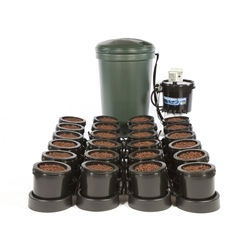 Each product comes in a range of sizes to suit your growing space. Flexitanks are a water storage reservoir designed for use with IWS Systems.